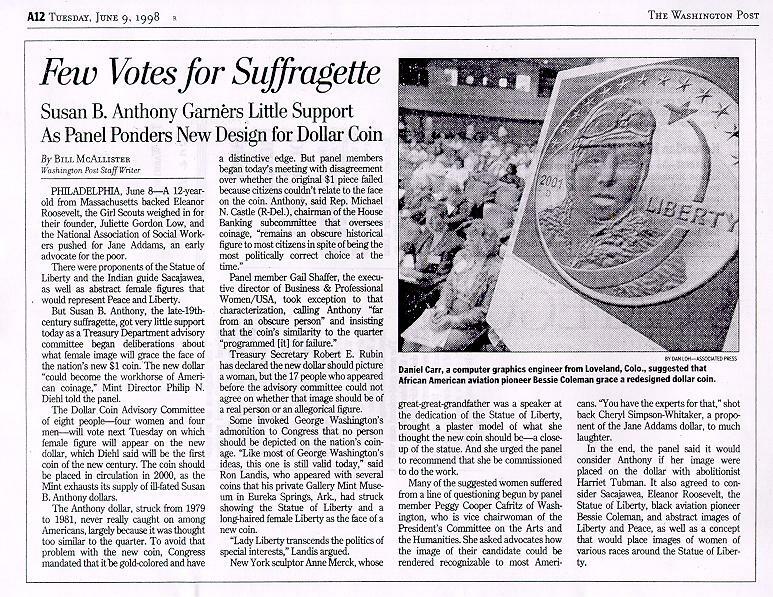 The reverse design was one of seven US Mint finalists for the reverse of the Sacagawea dollar coin. It features an Eagle soaring across the sun with 50 rays (symbolizing the 50 US states). This reverse has a concave field. To avoid a loss of detail when polishing the die, the die was given only a light polish and it shows some polishing marks. 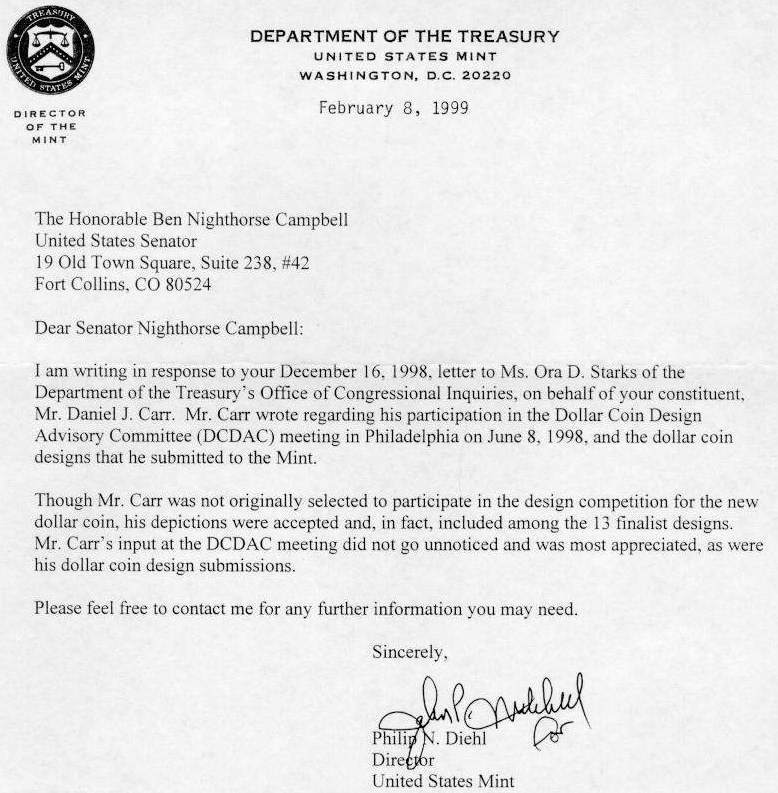 To comply with US regulations, the reverse of the coin is marked "NON DOLLAR" rather than "ONE DOLLAR". Finish: Proof-Like (the reverse side die was lightly polished to avoid a loss of detail, and some die polishing marks are evident).